This is the picture every UPT student has in his head - a T-38 two-ship soaring over the towering cumulus. 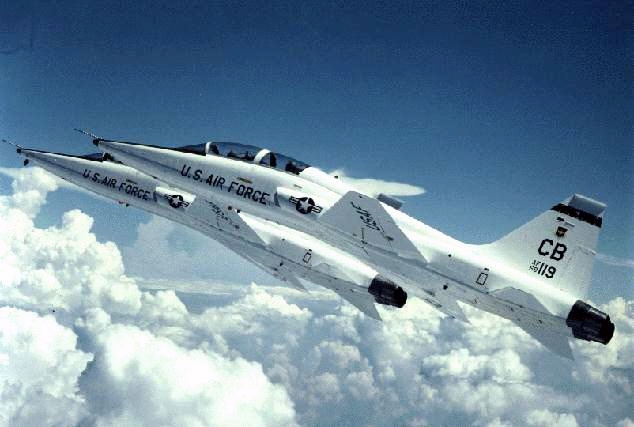 The T-38, although designed as a machine to teach discipline and precision, is also the ultimate expression of freedom and is definitely what John Gillespie Magee had in mind when he wrote High Flight. This machine becomes an extension of your body if you have learned your lessons well and effortlessly responds to your will.